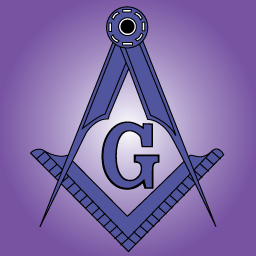 Today in Masonic History - How do you know Freemasonry? Today in Masonic History we present How do you know Freemasonry? In recent days and weeks I have had discussions with people both inside and outside the fraternity. Those outside the fraternity have questions ranging from "What is Freemasonry?" to "I heard this is what Freemasonry believes, is that true?" People who are members (inside) of the fraternity often say "How should we make sure that people understand where we are on this issue?" Let's talk about the people inside the fraternity first. There is a lot of information on the Internet and in books about Freemasonry. Much of it is wrong or written in a way to fulfill an agenda, either intended to be good or bad for the fraternity, depending on the author of the information. The purpose of this article is not to go after some of the more common misinformation about the fraternity, it is meant to remind us how people know the fraternity. So first of all, most Freemasons know this, but it bears repeating, there is no central authority for Freemasonry. Every Grand Lodge is it's own entity on to itself. Grand Lodges can recognize each other as true Freemasonry, that is up to the individual Grand Lodges involved. So with that said, it is impossible for any one Grand Lodge or individual Freemason to make a blanket statement about how Freemasonry sees the World and the problems in it. All we can do as Freemasons is follow the principles laid down upon our Masonic Trestleboards. To stick to them no matter what. When we stray from the principles of Freemasonry, the Cardinal Virtues, respecting God, your neighbor and yourself and making sure that you do what you can to help your neighbor, that is how others will know Freemasonry. By behaving in this way we encourage even non-members to come to our defense. By helping others they will say "I know a mason they came by and helped me shovel my walk" or "I know a mason they gave my child free medical care when they were hurt." The list can go on and on. The more people hear of the good deeds and positive efforts of the fraternity the better the fraternity looks. There are some who would say this is a slow process, it is. Some will say it is also susceptible to one bad action by a Freemason. This is true as well and there is really nothing we can do to change that, except stay the course with our principles. We are reminded in our rituals and in Anderson's Constitutions that we should not allow ourselves to be dragged into an argument about the nature of Freemasonry. Sometimes it is difficult. Regardless making sure we answer questions accurately when asked is important. There are often items Online where people trying to defend Freemasonry and have just made it worse. This leads us to people outside the fraternity. As I have already said people outside the fraternity known Freemasonry by the actions of Freemasons. Unfortunately at times we have had brothers who either did not live up to expectations, like Benedict Arnold, or had political views that maybe we as individual masons do not agree with. Interestingly to me, that truly defines Freemasonry. We are a melting pot of social, economic, political, racial and religious backgrounds. My views of the world are not necessarily those of the men sitting next to me in lodge. Freemasonry gets the reputation of being at the center of the American Revolution, and for some of our brothers that was true. What many do not realize is that there were Loyalist Lodges in the American colonies as well. Within the individual lodges during meetings, there was hopefully no discord, outside the political divide between individual masons might have been enormous. Still they all believed in the same core principals which are what make up Freemasonry. It is important that we remind people outside the fraternity, and sometimes within the fraternity, that one mason does not speak for us all. No matter who that mason might be. Inside the fraternity we should also remember political arguments and disagreements about social issues have no place in the lodge room and that sticking to our Masonic principles is the way we can make everyone wiser, better and happier. Making Freemasonry stand out, really means making the World a better place. Freemasonry is the journey of an individual, not the journey of a group. There may be many who walk alongside of me on my Masonic path, they are just individual travelers who happen to be walking in the same direction as I am.